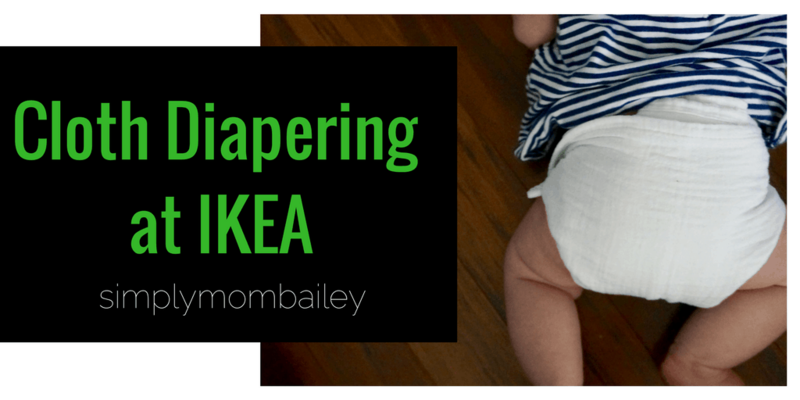 Did you ever think you’d be shopping at IKEA for cloth diapers? 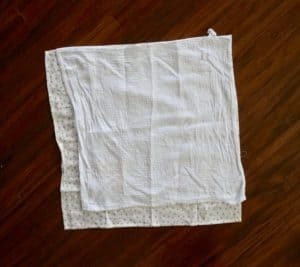 I didn’t, but after this year’s dismissal experience with flour sack towels (FST) during the Flats & Hand washing Challenge, I set out to try a better ‘every-day object’ flat diapers. 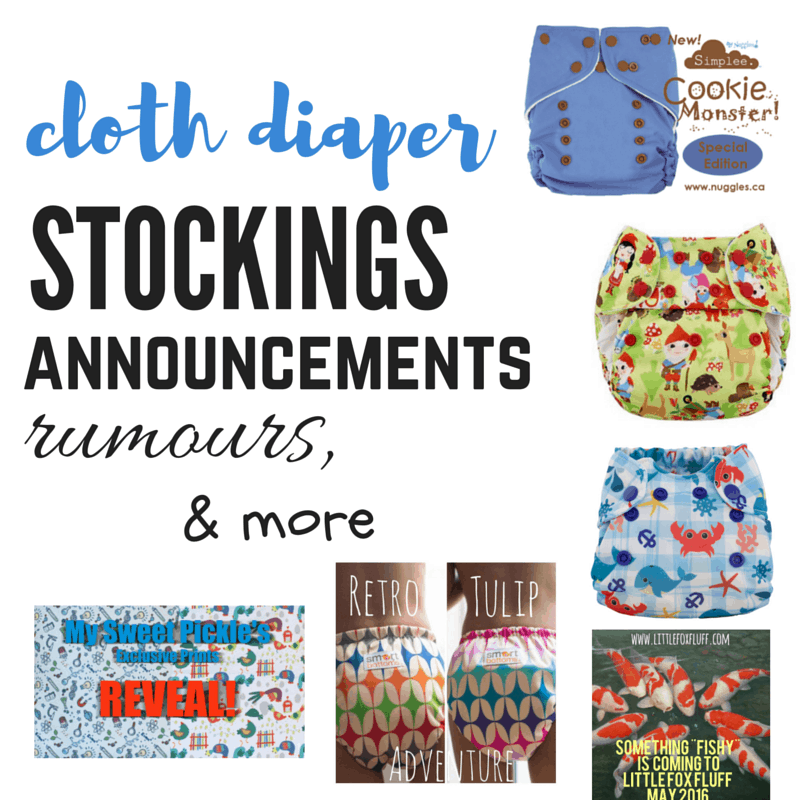 Check out a complete list of different Flat Cloth Diapers. Basically, anything can be a cloth diaper. If it’s made of absorbent material and can be somehow adhered to the body then you are good to go. The object of diapering is to keep pants dry, absorb urine, and contain poop. With such minimal standards for cloth diapering, it’s easy enough to find an everyday object for an IKEA cloth diaper. Next time your shopping for your IKEA cloth diaper, take a look out for the Himmelsk Burp Cloth I’m not sure where you find them because I randomly found a package near the exit of IKEA (and thus remembered why I was there in the first place). 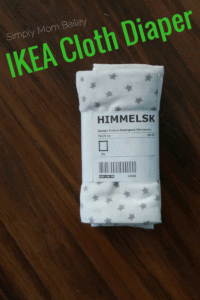 Why the Himmelsk Burp Cloth for an IKEA Cloth Diaper? Why this cloth for diapering? Why not any other kitchen towel or bed sheet? Because the Himmelsk Burp clothes are an ideal shape for folding on flats. If you prefer to pad fold, I’m sure you could use just about anything 100% cotton. However, the Himmelsk Burp Cloth is an ideal shape for folding onto babies and toddlers. It waffles up in the dryer and creates a nice soft, textured surface for diapering. The Himmelsk is not too thick or thin. It’s not too large or small. It’s just right. It’s everything you want and more. It grasps onto Boingo’s and Snappi’s, as well as suitable for pins. Pad fold or do something fancy, and it does the diapering job. Compared to a Flour Sack Towel from Wal-Mart, the Himmelsk Burp Cloth is slightly larger, much fluffier (but I didn’t find this fluff translated when on-the-bum), and more absorbent. It’s also pricier and harder to get your hands on. At $6.99 for a two pack these cotton squares work out to $3.50/each. My kitchen absorbency testing suggests they hold between 9-11 ounces of liquid, and my real life use lasted a short nap for my little Miss. They also wash up great and dry overnight. These bad boys don’t wrinkle and fall out shape like FST. They shrink just a little in the wash and dryer, but hold their shape great. The shrunken one has been washed and dried for several weeks now. I definitely enjoy using the Himmelsk Burp Cloth as my IKEA cloth diaper hack, and would continue to do so. If you had an IKEA near you, then I would DEFINITELY recommend these over FST towels or receiving blankets. My biggest peeve with receiving blankets is the variation in sizing and how big they can be on little babies (and if you can’t buy them used, they can be expensive new). I never would have thought of Ike for diapers but I suppose it does make sense. Wow!! That is so creative!! I would have never thought about cloth diapers as being able to use anything cotton! I never thought of Ikea as a diaper option. 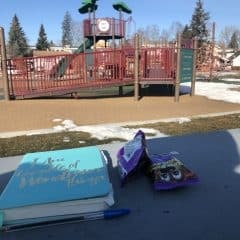 It’s good to have an idea of what to do in a diaper emergency! Thanks for the info! Great hack! When I cloth diapered I dropped a lot of money on FuzziBunz. Looks like with some creativity you can cloth diaper much more cost effectively! 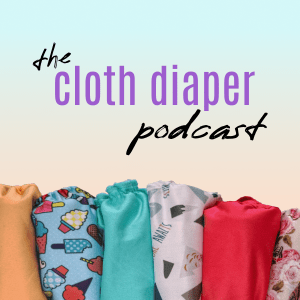 I never thought that there would be hacks for cloth diapering! But this post makes sense to find a product and test it. I have seen a wide variety of thick burp cloths so I completely understand why this would be successful. Great post. these sound like they work great for flats! SimplyMomBailey is a participant in the Amazon Services LLC Associates Program, an affiliate advertising program. As an Amazon Associate I earn from qualifying purchases.